Anyplace else, this would be considered four separate vacations, but not in Aspen, where skiers will find more than 5,300 acres of terrain between Snowmass, Aspen Mountain (Ajax), Aspen Highlands and Buttermilk. Not to mention the endless dining, nightlife and shopping the town of Aspen is known for, providing more than enough reasons to visit one of the world's most famous and exciting ski resorts. There's no better time to experience "The Power of Four." Aspen Mountain has been offering black diamond skiing directly above the town of Aspen since 1947. Though somewhat small in size, Aspen Mountain offers every kind of terrain in a compact, accessible package. The knowledgeable skier can maximize vertical by linking together fall line runs all over the mountain. From steeps to bumps to trees, Aspen Mountain is a terrain smorgasbord, accessed by a state-of-the-art gondola (iTunes docks included) and eight lifts. Aside from Christmas break, lines don’t exist on Aspen Mountain. On a crowded day, there are only three skiers per acre, meaning you’ll likely have a run to yourself. When it snows more than six inches on “Ajax,” you’ll hear many an Aspen local claim: “Face to Six.” Follow their lead by taking the gondola and skiing Silver Dip to Ridge of Bell. When you hit Bell Mountain, head either left or right, as both traverses take you to the front side of “Bell.” Ski the glades to Chair Six or “FIS.” The double chair deposits you atop a gladed ridge known as “the Dumps.” Head downhill and take your pick of tree shots and mind the mine shafts. Stay close to the lift line for a bonus lap on Six, or head farther down mountain to Zaugg Dump, which will funnel you to Spar Gulch, Aspen Mountain’s main highway gully run. Take the gondola back up to hit Kristi’s or Walsh’s—double diamond faces on a lightly wooded slope that link up with Gentleman’s Ridge and Jackpot to form the longest black diamond run on the mountain. A series of steep glades drop down from Gentleman’s Ridge to Copper Bowl, Aspen Mountain’s other main artery leading to the base. Aspen Mountain boasts 76 runs. The steepest one, Silver Queen, sits at an angle of 42 degrees. Aspen Mountain isn’t ideal for beginners, but it’s possible to ski the upper mountain while avoiding Spar Gulch and Copper Bowl, the two main top-to-botton funnel runs, which tend to intimidate families and beginner skiers. Ski off Chairs Seven, Three or Six to find some intermediate terrain at the top of the mountain. 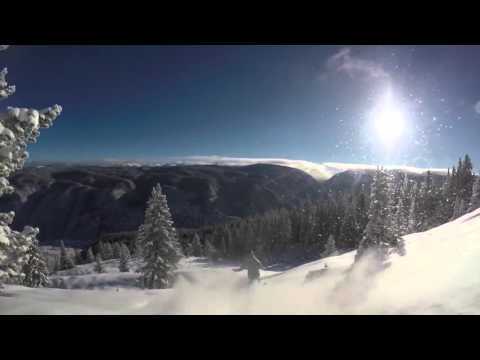 Don’t miss Ruthie’s Run, quite possibly the most consistent, fall line groomer in Colorado. The entire family will enjoy Bonnie’s, a midmountain restaurant serving legendary white bean chili and apple strudel with homemade whipped cream. Its famous two-tiered outdoor deck is a favorite hangout spot. Aspen Skiing Company focuses their park efforts on Snowmass and Buttermilk. 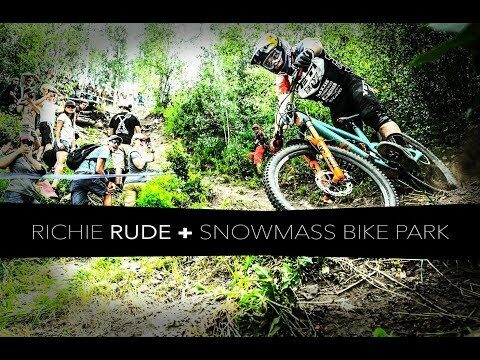 You won’t need to look hard to find bumps on Aspen Mountain. The steepness of the resort lends itself to many a bump run, with some of the favorites being Dipsy Headwall, Ridge of Bell, FIS Slalom Hill and Lazy Eight Gully. For tree skiing, hit Glade #3 off Gentleman’s Ridge or Bear Paw in “the Dumps,” off of Chair Six. Back of Bell serves up challenging tree skiing, tight shots and bumps. 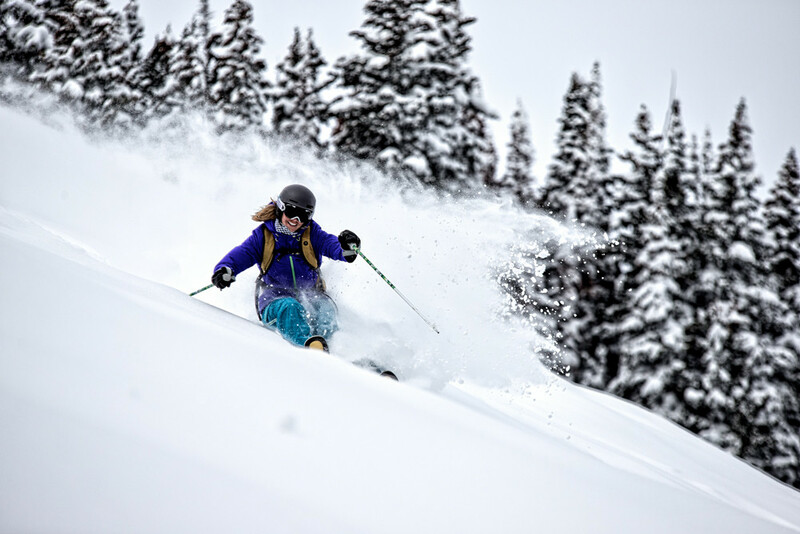 For an out-of-bounds experience, Aspen Mountain Powder Tours will hook you up with fresh tracks on the backside of the mountain. Visitors on a budget can enjoy Aspen's culinary offerings by sitting in the bar at nearly every restaurant in town. Patrons can sample some of the food served from the regular menu at a fraction of the price, in a more relaxed setting. Frequented by the late Hunter S. Thompson and a lively local crew, this home-cooked hideaway in Woody Creek Canyon is an eclectic museum of underground Aspen history. The restaurant in a rustic cabin serves up burgers (made with low-fat Colorado limousin beef), fresh tilapia tacos, mean chicken enchiladas, organic salads and vegetarian (organic when possible) soups—all of which go well with the house-specialty drink—fresh-squeezed lime juice margaritas made with 100% blue agave tequila. When Olympians like Aspenite Gretchen Bleiler have an extra snowboard, or big mountain skier Chris Davenport upgrades his ski quiver, they unload their nearly-new goods to Replay Sports, which stocks everything from ski and snowboard equipment to hockey gear. Even the most diehard downhiller needs a day off. And when that day comes, there is no better way to get the fresh air you crave than on cross-country skis. With miles and miles of public trails, as well as acres of backcountry and a XC ski touring area in a ghost town just up Castle Creek Road, Aspen has become known as a Nordic skier’s nirvana. Rentals, lessons and information are available at the Aspen Cross Country Center. Coffee shops come and go in Aspen, but INK! is a staple and the local’s choice. The baristas make hands-down the best latte in town. This locally-owned, gourmet coffee bar also offers bagels and spreads, pastries, and paninis. This French deli offers both healthy snacks and warm comfort foods for breakfast and lunch. Their breakfast burritos are an easy and delicious grab-and-go-option. Located at the base of Aspen Mountain, Ajax Tavern features patio seating at its finest. Ajax Tavern serves distinctive bistro food inspired by Colorado’s bounty of sustainably-grown meats and produce. Guests are treated to innovative dishes such as Colorado lamb bolognese, house-made charcuterie, pristine raw bar selections and daily specials. Cocktail hour brings out Ajax Tavern’s luscious cheese fondue, decadent Ajax truffle fries and other gourmet fare. Directly across the street from gondola plaza, there is always a hungry crowd at this affordable wrap and smoothie shop. Homemade vegan soups and fresh tacos add to the diverse wrap menu and daily specials. This elegant restaurant in the opulent Little Nell Hotel is under the masterful direction of Executive Chef Robert McCormick serves up the freshest fare, including home-grown produce and local livestock. The bar menu is a favorite among Aspen locals and visitors, and the divine dining room epitomizes Aspen's fine-dining scene. Owned by longtime Aspenites Jodi larner and Chef Chris Lanter, Cache Cache features French bistro-style cuisine and an elegant yet comfortable ambience. L’Hostaria draws a crowd any day of the week, even through the offseason. The casual restaurant brings authentic Italian fare and ambience to the heart of the Rocky Mountains. Always a local favorite, it offers an extensive list of light appetizers, carpaccios, homemade pastas and sumptuous main dishes. Home of a renowned outdoor pool scene, The Sky serves up chic cocktails like the Botox Martini and other creative concoctions. A newcomer to Aspen’s restaurant scene, BB’s Kitchen offers quite possibly Aspen’s most aesthetic outdoor patio. The second floor space gives way to unparalleled views of Aspen Mountain and Independence Pass. Eric’s, which spills into Aspen Billiards, The Cigar Bar and Su Casa, is the epicenter of Aspen's see-and-be-seen commotion. From the grinding dance floor to the hazy smokers' haven, each quadrant offers a different vibe. The Belly Up rocks year-round with an eclectic mix of top headliners ranging from Sleigh Bells to Alice in Chains and everything in between. Its flawless sound system and intimate setting (accommodating only 450 guests) makes every show one to remember.